Louis Boston, president of The Boston Group, and influential business leader, passed away July 5, 2009 at his home in Tigard after a long battle with cancer. Boston, the son of Henry Lewis and Beulah Mae (Duran-Kirkland) Bailey was born Sept. 13, 1940 in Hackensack, N.J. and later adopted by William (Bill) and Rosa M. Boston of Albany, N.Y. In Albany, Mr. Boston graduated from Cardinal McCloskey HS, received an AA from Albany Business College and his B.S. from West Virginia State College where he lettered in football. He also did master's work at Michigan State. His business background began in the East as a national sales training manager. Mr. Boston was a graduate ofthe Chrysler Development Program, becoming among the first African American owners of a big three dealership. In 1987 he became president of Rockwood and Gresham Chrysler-Plymouth dealerships. In 1991 he started The Boston Training & Marketing Group and consulted for various sectors, namely the State of Oregon, Multnomah County and the Port of Portland. 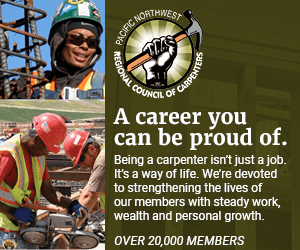 For Turner Construction he was minority, women and emerging small business contract manager for the Rose Garden arena and the Qwest Stadium in Seattle. He was an officer with Comotiv Systems, and marketing advisor on international trade missions to China. He was a friend, colleague, visionary, mentor and leader to many people, says Roy Jay, president of the African American Chamber of Commerce. "The thing I learned most from Lou was to be as excited about the appetizer as I was the main course," Jay said, who worked with Boston on a number of charitable endeavors. "He knew how to navigate through the business waters. He was just a great guy." Workhorse Construction owner James Posey said Boston's good nature was reflected in his work. "The thing about Lou is, he was a genuine community person," Posey said. "He involved himself personally and emotionally. That carried on to the rest of his family." Mr. Boston was founder and charter president of the Colonie Jr. Chamber of Commerce in N.Y.;a member of the Lions Clubs and Rotary Clubs of Gresham. He served on the boards of Portland State University, Portland Opera, Portland Urban League, YMCA of the Columbia-Willamette, the YWCA, Boys & Girls Club, Self Enhancement, Inc., The Center for Community Mental Health, The Christy School, La Salle High School; and the Portland Chamber of Commerce, was a member on committees for The United Way, Portland Public Schools, the Black United Fund, the Healing Roots Village, and the Portland Organizing Project/Metropolitan Alliance for the Common Good; sat on the St. Andrew Catholic Church Pastoral Council, the Archdiocese of Portland Anti-Racism Committee, the Archdiocese of Portland Pastoral Council, the African American Catholic Community of Oregon andthe City of Portland Food Council. He was a corporate sponsor for the Mt. Hood Festival of Jazz and Miss Oregon USA. Mr. Boston received numerous awards for his board and activist work, and also for business and civic service. Among them from the U.S. Small Business Administration, State of Georgia, City of Portland, Multnomah County Sheriff's Office, Portland Community College, Self Enhancement, Inc., YMCA, KPDX 49 and Omega Psi Phi Fraternity, Mu Xi and Zeta Nu Chapters. He was active in sports, played college football, ran track and field and coached little league football and baseball. He medaled in New York state masters competition in both the 100m and 500m race. Mr. Boston was inducted into the Bishop McGinn High School Alumni Association Catholic Sports Hall of Fame. Since his 1961 membership into Omega Psi Phi Fraternity Inc., Theta Psi chapter; he was active in the fraternal organization's Nu Tau graduate chapter, founder and charter Basileus of Mu Xi graduate chapter, co-founder of Delta Chi graduate chapter, member of Chi Pi chapter, and Zeta Nu graduate chapter. He was a charter member of Grande Boulé Sigma Pi Phi fraternity, Delta Phi chapter. Mr. Boston is survived by his wife, Clarinér M.; daughter, Cyreena M. (Samuel Ashby – Hillsboro, Ore); Louis J. II (Jennifer), East McKeesport, Penn; Lowell J. (Linda Kardos), Collingswood, N.J.; and Lyle J. (Heidi Bogus), Atlanta, Ga.; sisters, Roslyn Bailey, Hartford, Conn.; Patricia Clark (Arnold), Bronx, N.Y.; and Vivian Q. Wilson, Gresham, Ore; brothers, Lowell C. Bailey (Christine), Oak Park, Mich.; Johnny J. Bailey, Jacksonville, Fla.; and grandchildren, Jiana and Alexander, East McKeesport, Pa.